Discount Parking is available near the Alexis Hotel. Each parking location listed above offers a special web coupon with guaranteed discounted parking rates. Select a location address to see parking details and print the web coupon. A web coupon must be presented for these special rates, so please present one when you park. 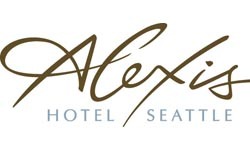 The Alexis Hotel provides guests immediate access to all that downtown Seattle has to offer, whether it's a visit to the nearby Seattle Art Museum or a shopping expedition to Nordstrom. Seattle Center and the Space Needle are just a quick monorail ride away. Our waterfront Seattle hotel is also just two blocks from the Ferry Terminal with access to the Islands of Puget Sound.